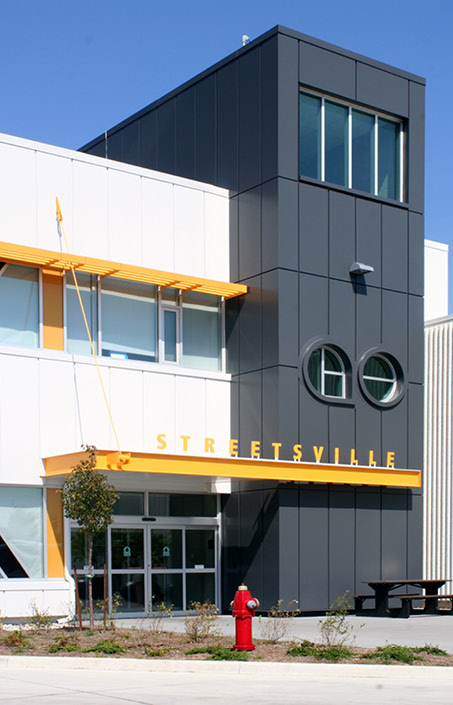 GO Transit: Streetsville Maintenance Facility - Strasman Architects Inc. 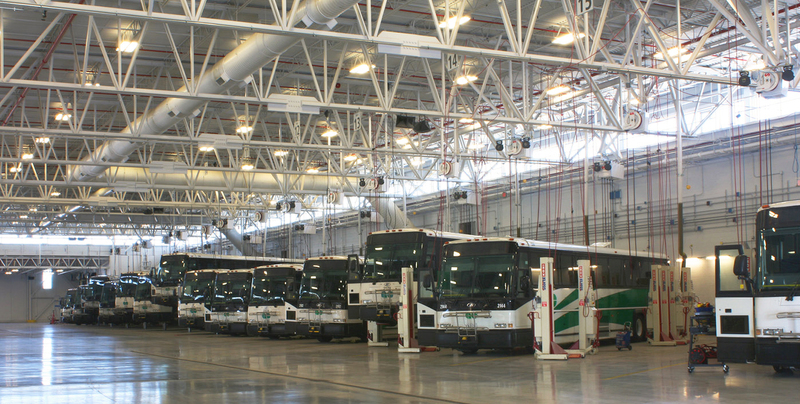 The Streetsville Bus Maintenance Facility is a new 19,138sm bus storage and maintenance facility for GO Transit which services more than 200 buses and has an indoor storage capacity for 104 buses. The facility was designed to accommodate a future expansion of the bus storage area, which in fact is currently under construction. 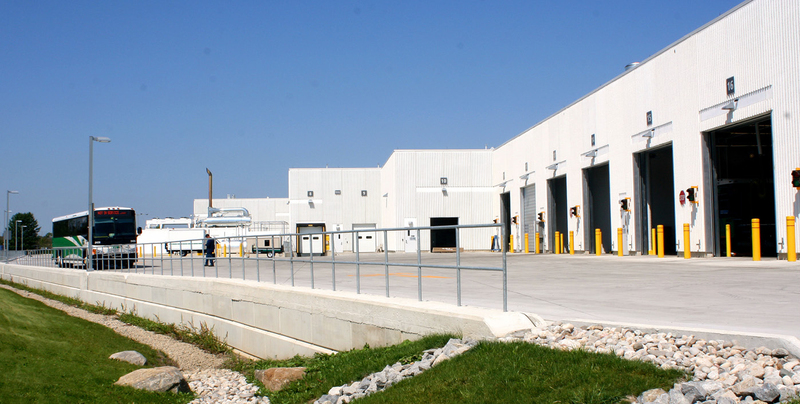 The site development includes outdoor parking for employees and GO Transit service vehicles. 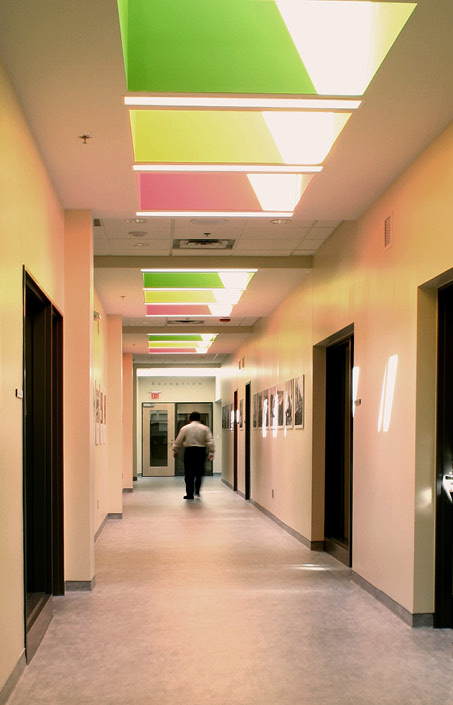 The facility is used by 400 employees and provides amenities consisting of washrooms, showers, fitness area, lunch rooms with kitchenette, training rooms, and indoor bicycle storage. The facility has two quick service lanes each consisting of a fully automated hybrid bus wash and indoor fueling service bay. 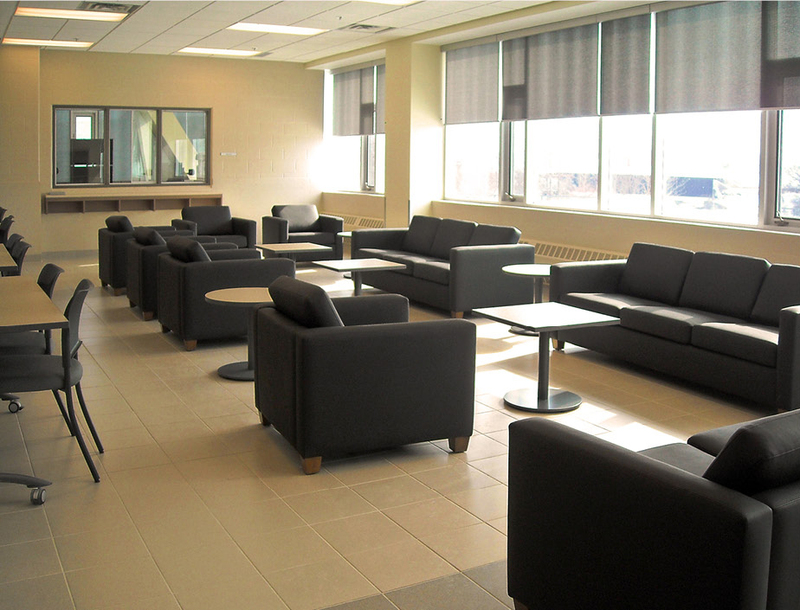 The bus operations area is located within a two storey administration building and includes a dispatch centre, administration offices, meeting rooms, a drivers’ lounge and drivers’ quiet area. The bus repair shop facility contains interior cleaning bays with a central shop vacuum, inspection pit bays with pit jacks, degrease bay, repair bays with both in-ground hoists and flat bays with portable hoists, and associated system for storage and distribution of service fluids. Vehicle maintenance service is supported by a parts storage area with a counter. Building systems for the project include radiant floor heating for the indoor bus storage and maintenance areas, snow melt system at exterior overhead doors, HVAC, plumbing, electrical systems, a cogeneration plant, and CCTV/ PA/ access control systems. 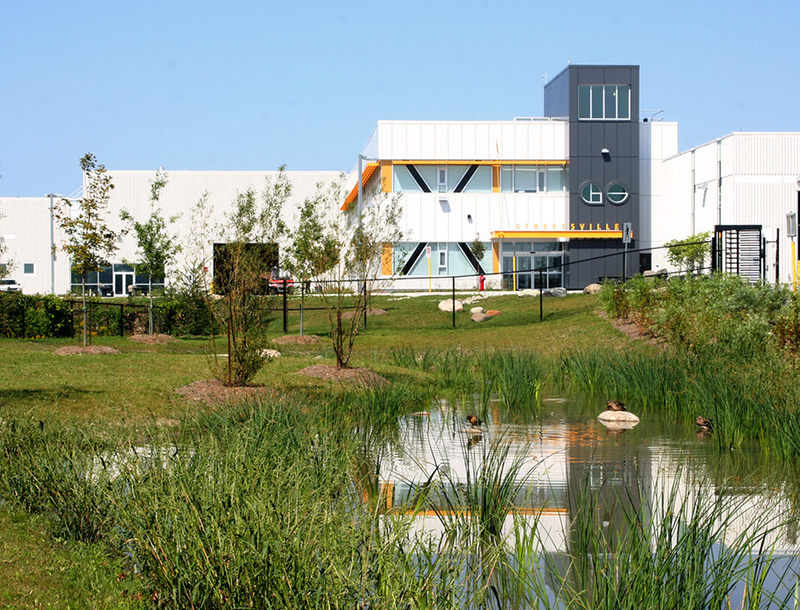 Sustainable design initiatives include a green roof, bioswales, storm water retention, extensive daylighting, solar hot water heating, and high efficiency mechanical systems. The project is LEED®Silver Certified.